Once again it is the time of year, when smokers throughout Britain are encouraged to stop smoking as part of the national Stoptober campaign. You too, can turn your back on cigarettes and reap the social, financial and health benefits from taking the challenge and become a Non-Smoker, for good! We all know that smoking is an expensive and antisocial habit, not to mention harmful to our health. But quitting this habit is easier said than done. Most smokers trying to quit will have tried patches, gum, e-cigarettes or lozenges often without much success. But it doesn’t have to be hard or difficult; perhaps hypnotherapy can offer you the permanent solution you have been looking for. At aspired therapies, we offer unique stop smoking sessions, tailored to each and every individual’s needs and desires. 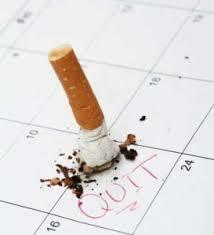 It has never been a better time to make the resolve to quit smoking than NOW. Join the challenge and call us now to book your appointment. Any appointments booked during October can claim a 20% discount by quoting STOP2014.